As her life begins to fall apart, only Banallt stands by her. Can she keep herself from giving into a passionate affair with a rake who can't be trusted? 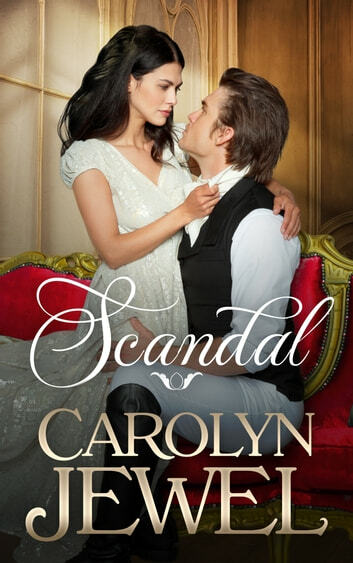 Scandal is a Regency romance novel featuring a complex and dysfunctional pair. If you like intense passion, deep emotions, and unpredictable plots, then you'll love Carolyn Jewel's pulse-pounding and wonderfully-written tale of love. Took a while to get into the book. But when you Did. You just could not put it down and find out what happens. I love the flow and emotion of this book. The story and characters came alive and sparked off of each other!! Excellent book could not put it down. It has been a long time since I enjoyed a book this much. I will read more by this author. Written with a human heart. Definitely true to form. Allowed me to escape the troubles of my own world. To a time when ladies were (and sometimes werent) just that. Lived in the novel, was part of it. Passion is threaded through the lives of these characters in all its glorious forms.Enjoyed immensely!